First and foremost, Dr. Potyondy is a family man who married his high school sweetheart and with whom he has 2 beautiful daughters. His wife, Jaime, works in the office as the manager and patient care coordinator (when she is not running shuttle service for the girls' activities). Although Dr. Potyondy maintains an extremely busy practice, he does find time for some hobbies including a rigorous workout regimen, skiing, and watching Seahawk football. 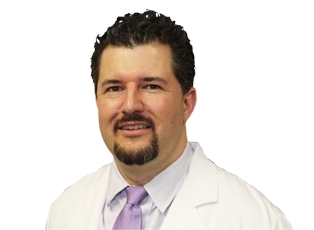 Professionally, Dr. Potyondy is an accomplished Plastic Surgeon. His training in Cosmetic and Reconstructive Plastic Surgery has taken him from Los Angeles to Fort Lauderdale, honing the latest techniques along the way. Dr. Potyondy is board certified by the American Board of Plastic Surgery and is an active member of the prestigious American Society of Plastic Surgeons. He has published several scientific research articles in various areas of Plastic Surgery and special areas of interest include facial rejuvenation and body contouring. He is also considered one of the regional experts in laser liposuction, having completed over 1000 of these cases in the last 3 years alone. Dr. Potyondy feels that at its core, his chosen field is best described in a well publicized quote from Gaspare Tagliacozzi, the author of the first textbook on plastic surgery. The statement was originally made in the 16th century, and it still holds true today. "We restore, repair, and make whole those parts which nature has given but fortune has taken away. Not so much that they may delight the eye but that they may buoy up the spirit and help the mind of the afflicted." Essentially, by operating on the body, we affect the mind. This is the true essence of plastic surgery and it is why Dr. Potyondy takes his role so seriously. Very polite and professional, encouraging but not pressuring. Dr. Potyondy and his wife Jaime (who works in the office with him) answered every tiny question I had with enthusiasm. Dr. Has very good people skills he listened, I already knew how I wanted to look and he pointed me in the direction. He's very kind. I work in a similar industry so I knew enough but had very specific questions that he had great answers for. He's very humble and nice to talk with.